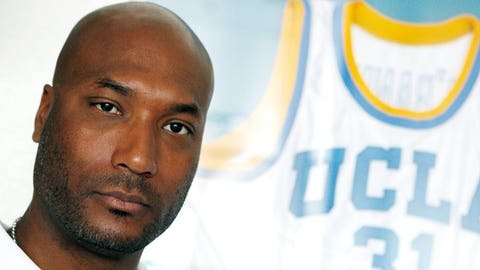 The NCAA plans to appeal the ruling in the antitrust case former UCLA basketball player Ed O'Bannon filed. The NCAA has notified the 9th U.S. Circuit Court of Appeals that it intends to appeal a judge’s ruling in the Ed O’Bannon case that it violated antitrust laws. "We are appealing the Court’s decision because we do not believe the NCAA has violated the antitrust laws," he said. "In its decision, the Court acknowledged that changes to the rules that govern college athletics would be better achieved outside the courtroom, and the NCAA continues to believe that the association and its members are best positioned to evolve its rules and processes to better serve student-athletes." Earlier this week, NCAA officials declined an interview request with The Associated Press to discuss the case. But antitrust and labor attorneys believe the NCAA’s strongest argument might be against the financial cap, a part of the decision the NCAA initially lauded. "If she’s right that these restrictions are an unreasonable restraint of trade then the cap doesn’t make any sense," said Robert McTamaney, an antitrust lawyer with the firm of Carter, Ledyard & Milburn. "Then student-athletes should be able to negotiate for whatever they can get." Otherwise, he noted, it could open the NCAA or its member schools to more potential litigation for athletes who are not receiving additional money, including women’s athletes who could cite Title IX law. "I would expect them to appeal it because now you’re going to have a permanent injunction that says the NCAA can’t regulate what colleges do with their student-athletes," Farelli said. "If they don’t appeal now you have federal court precedent."